We manage a multi million pound portfolio and offer fully managed and let only services. Whether you’re an experienced landlord with a large portfolio or a first-time landlord with a single property, our team of letting consultants and property managers can manage everything from marketing your property and finding tenants to collecting the rent, arranging maintenance and managing the tenant relationship. The level of service you choose is up to you. Our packages are tailored according to your needs and the level of involvement you want in managing your property. Above all you can expect a friendly and professional service at all times. Both our managed and tenant find letting services feature a high profile marketing campaign including newspaper adverts in the Barnsley Chronicle, web listings on several major property portals including Rightmove, Zoopla and Primelocation, as well as a distinctive for to let board, full colour particulars with floor plan and distribution through our extensive applicant mailing list. Once an application is received, following a successful viewing with one of our agents, a comprehensive referencing process, is undertaken by our specialist third party provider. We aim to make sure our landlords receive the best possible service at all times and we are proud of the longstanding relationships we have with our clients. We pride ourselves in ensuring your property investment is handled with the utmost care. Our dedicated property managers will be responsible for maintaining and growing the value of your investment. Our managed service covers the day to day running of your property from start to finish and includes the marketing and referencing, tenancy set up, deposit registration and rent collection with monthly statement. Our team can arrange all maintenance issues, whether routine or unforeseen. We have a team of preferred contractors or can instruct your own specified contractors. We also provide an out of hours service for emergency issues. Landlords have access to our online client area where you can view statements, maintenance reports and feedback. For landlords that prefer the hands on approach but still want to make sure that you have achieved the best price, secured the right tenants and covered the set up of the tenancy, we offer our tenant find service. The same marketing, viewing and referencing process is included as well as the setting up of the tenancy. The tenancy is then managed directly by the landlord. The lettings team at Armitage Residential are experts in the local rental market and can help you find a new home that meets your needs from our extensive range of properties for rent. 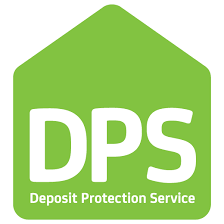 Our fees are fair and transparent, and we register our deposits with the Deposit Protection Service.